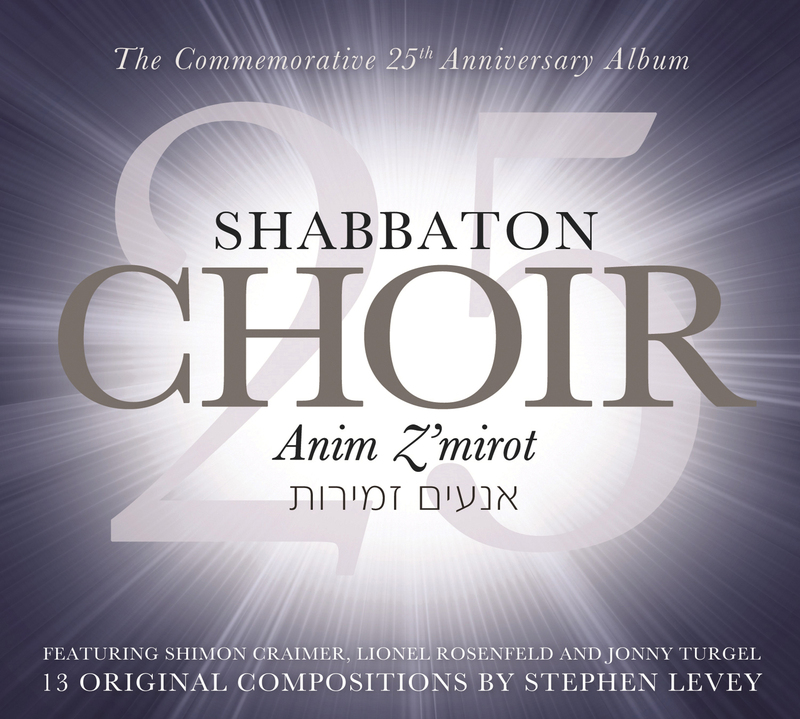 Brand new album from the world renowned Shabbaton Choir to mark its 25th anniversary! 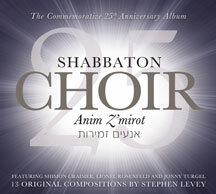 Anim Z'mirot, the choir's sixth album, is the brainchild of Stephen Levey, the musical director of the choir. All 13 compositions have been composed and arranged by Stephen, from upbeat tempo numbers Tzur Mishelo, Lecha Dodi and Adon Olam, to inspirational ballads Ezk'ra Elohim, Y'hay Ra'ava and Esa Einai, to uplifting choral pieces Baruch Haba and Anim Z'mirot. Stephen, together with the Shabbaton Choir and acclaimed chazanim (cantors) Lionel Rosenfeld (Western Marble Arch, London), Shimon Craimer (Riverdale, New York) and Jonny Turgel (Stanmore, London), has toured extensively both in the UK and abroad. The Shabbaton Choir has taken part in 8 Solidarity Through Song tours to Israel, 25 consecutive Selichot services throughout the UK and appeared in concerts in the UK, Germany, Poland, Sweden and on three major concert tours of America. The Shabbaton Choir's innovative choral sound is constantly heard in synagogue services and concerts throughout the UK and abroad. The harmonies and arrangements are written with the aim of clearly bringing out the mood and meaning of the words - and Anim Z'mirot (which means "I will sing sweet Psalms") aims to do just that!